The Sinclair, MB grain elevator, Aug 2014. Contributed by Steve Boyko. The small town of Sinclair in western Manitoba has one grain elevator. The Sinclair grain elevator is a former Manitoba Pool grain elevator, now presumably privately owned. 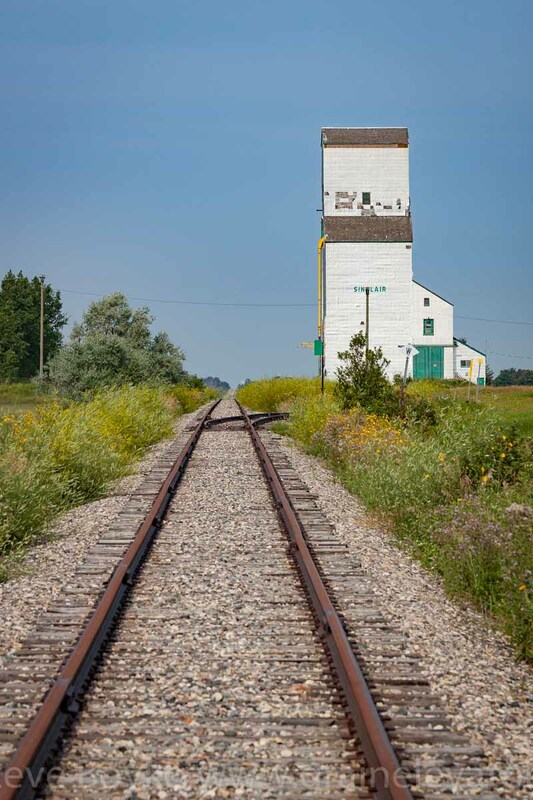 Sinclair, MB grain elevator, Aug 2014. This elevator consists of a central elevator with an attached annex, and a covered driveway on the non-rail side. The elevator had a siding on the CP Arcola subdivision. CP has since abandoned this section of track. 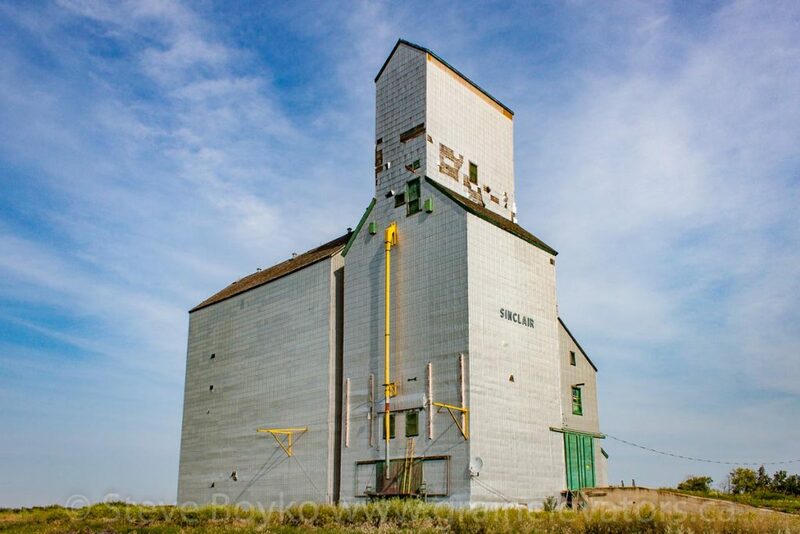 The elevator was listed in the Canadian Grain Commission’s directory until 2001 with a capacity of 4,240 tonnes. The elevator may be in use for private grain storage. There was at least one other elevator in Sinclair in the past. This photo shows what may be a Lake of the Woods grain elevator in 1909. Tennis in Sinclair, MB, 1909. Sinclair is near the edge of the Bakken oil fields, and there are oil wells nearby. 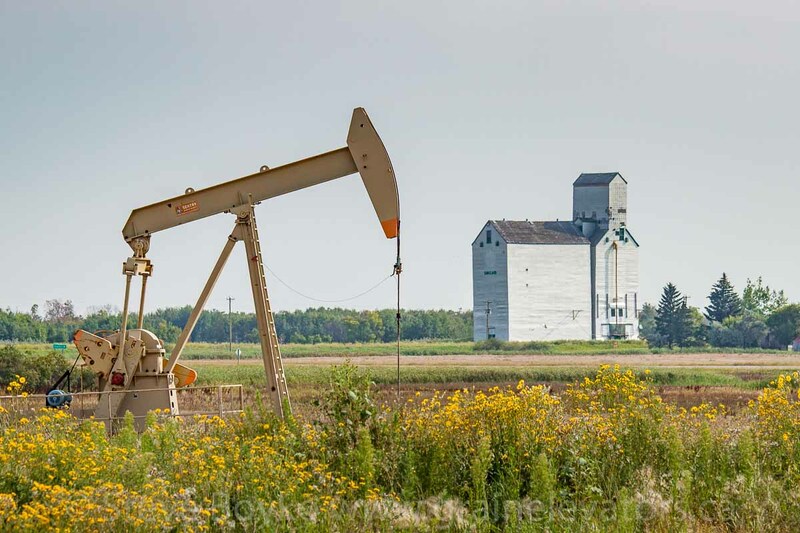 Sinclair grain elevator and oil well, Aug 2014. Contributed by Steve Boyko.